Celebrate the 50th anniversary of Star Trek at the Intrepid Museum— the first venue in the United States to host this immersive “Trek Tech” experience, spanning 12,000 square feet on Pier 86. 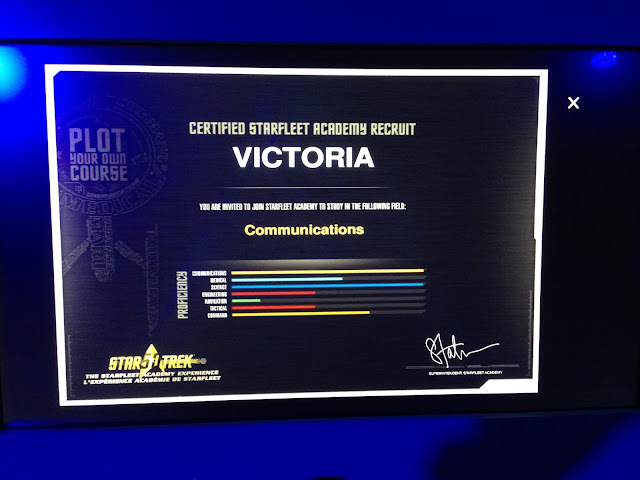 Become a cadet at the Starfleet Academy, and embark on an interactive journey with Leap Motion, projection mapping, holograms and other Star Trek technologies. After student orientation, you’ll visit nine zones focusing on the Academy’s special training in language, medicine, engineering, navigation, command and science. Complete your training to learn your specialty. In addition to Star Trek: The Starfleet Academy Experience, the Museum will feature special Star Trek–themed programs and tours. I love Star Trek—even more than Star Wars. I’ve been a fan since my teens. The Original Series is my favorite, though I really do like Next Generation. 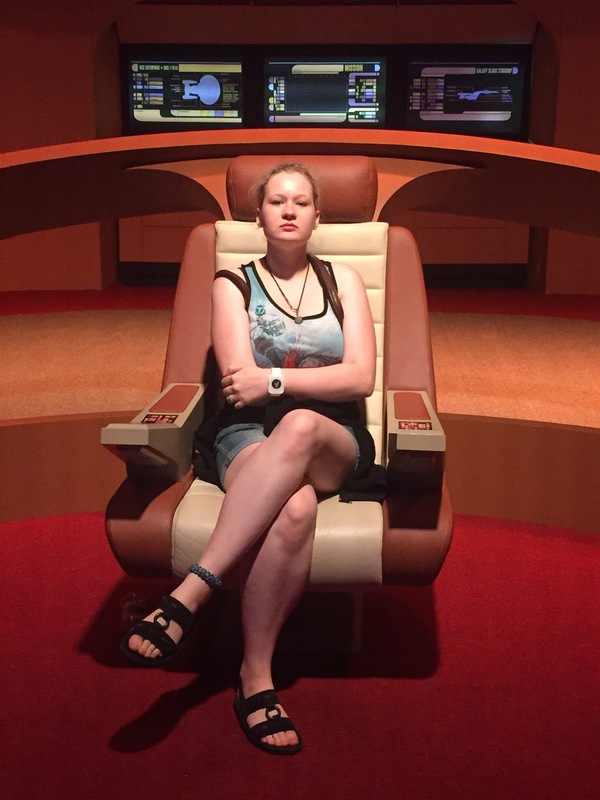 In July, I had the opportunity to visit New York City and go to the Star Fleet Academy Experience at the Intrepid with one of my dear cousins. We navigated the city to the museum by subway and walking. Fortunately, we arrived at a time where we were some of the only people there, so we got the exhibit basically to ourselves and there wasn’t any pressure to rush. 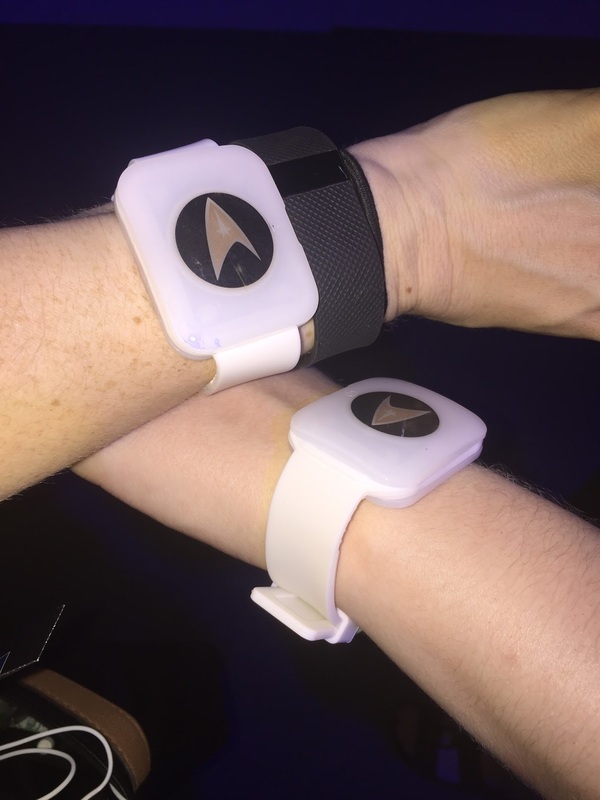 In exchange for our tickets, we received white wristbands with the Star Fleet symbol on them that buckled on like a watch. Using touch screen consoles, we programmed them by entering our names and email addresses. You use the wristbands by sliding them in front of designated circles beside the many activities and tests because at the end of the exhibit you find out what division of Star Fleet you’d be most suited for. My cousin and I walked inside, barely containing our excitement and keeping phones out to take loads of pictures. To our right, was a large model of the Enterprise with scenes from the shows playing on the surface. To our left, was a display of plot summaries for each of the Star Trek series. At the end of the corridor was a hologram (Yes, a legit hologram. It was amazing. The future is now, people.) Vulcan who explained how to interact with the exhibits. 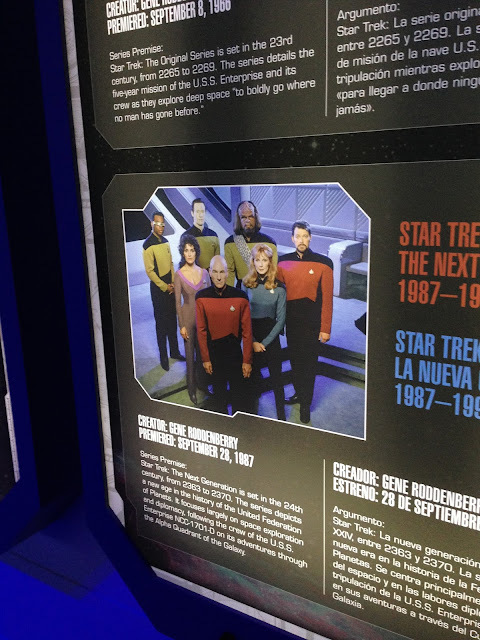 After a hallway showing the Star Trek timeline, we entered the main exhibit. Each part of the spacious area was sectioned by each division of Star Fleet: Communications, Medical, Science, Engineering, Navigation, Tactical, and Command. 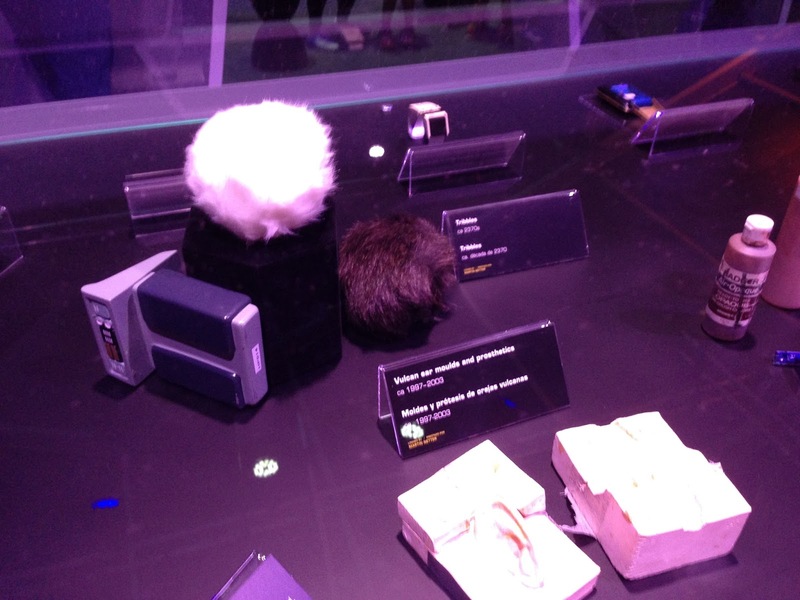 The sections included display cases with items used in each division like tricorders, phasers, and even tribbles, and also uniforms that crew members in that division wore, such as Captain Kirk’s, Captain Picard’s, Commander Data’s, Mr. Spock’s, and Diana Troy's. Every division had one or two interactive activities like using a tricorder to diagnose a Klingon dummy or make a picture of yourself look like an alien with editing software or target practice with a phaser. Then each had a testing console where you’re asked five questions and prompted to give an answer of what you’d do in a certain situation. The most impressive activity had to be the mock transporter. 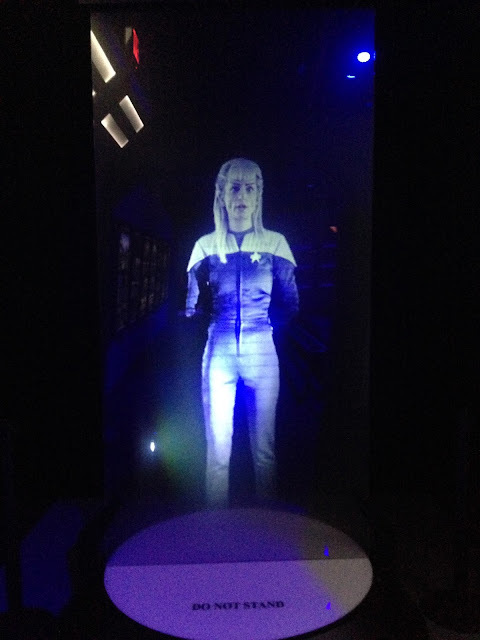 You stand in front of a projector that displays a holographic image of yourself over both a recreated transporter deck and a digital version on the screen in front of you. The holograms looked really good. My cousin and I have both the digital version of the transportation and ones my cousin and I took of each other with our phones. Near the end of the exhibit is an actual recreated command deck where you can take the Kobayashi Maru test. It’s pretty impressive. My cousin and I spent the longest time there, sitting in the captain’s chair and role playing. She did a lot of Kirk and Picard’s mannerisms, and we recited lines. After this last display, you can find out what division of Star Trek you belong to by scanning in your wrist band one final time at the last console. I was in communications and my cousin was in command. I wasn’t sure what division I wanted to be in, but I’m happy with the choice, and my cousin loved being command. It was the division she wanted. 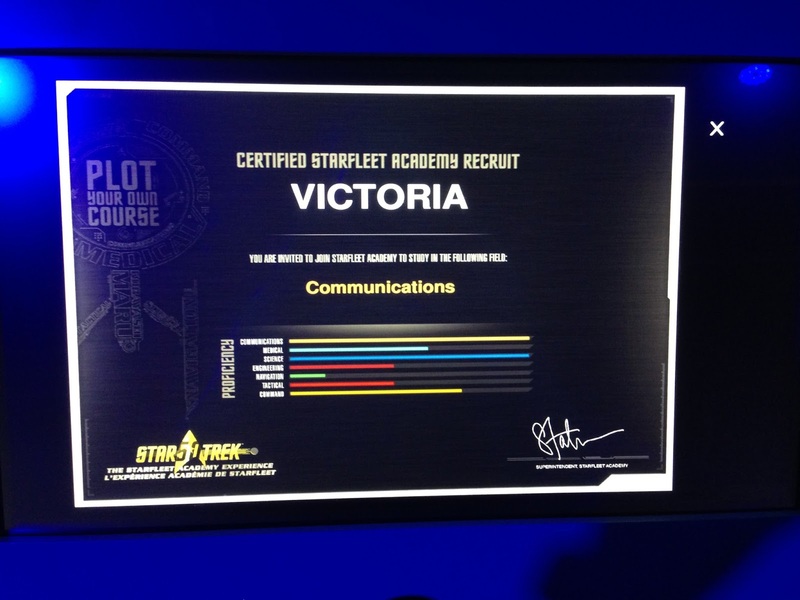 Also, you are presented with a PDF of your division certificate, a video of yourself in the transporter deck, and a picture of the alien you created in communications. All of this can be sent to your email address to do with as you wish. After this is a small gift shop with many themed items available for purchases, including buttons, t-shirts, plushies, and the like, then the exit. I purchased a science division coin purse. Was the $25 worth it to go? Completely. It was amazing interacting with devices used throughout one of my favorite fandoms. I took so many pictures. My cousin and I fangirled over the experience for the entire rest of the time I was with her. I loved how interactive it was and that you got to have digital keepsakes at the end. 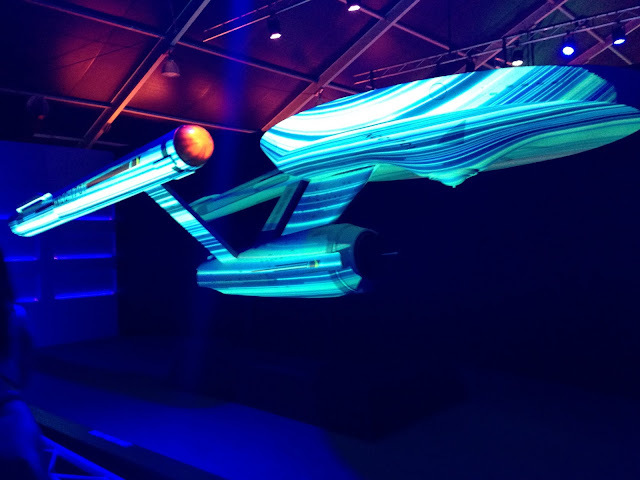 The Star Fleet Academy Experience is a must visit. 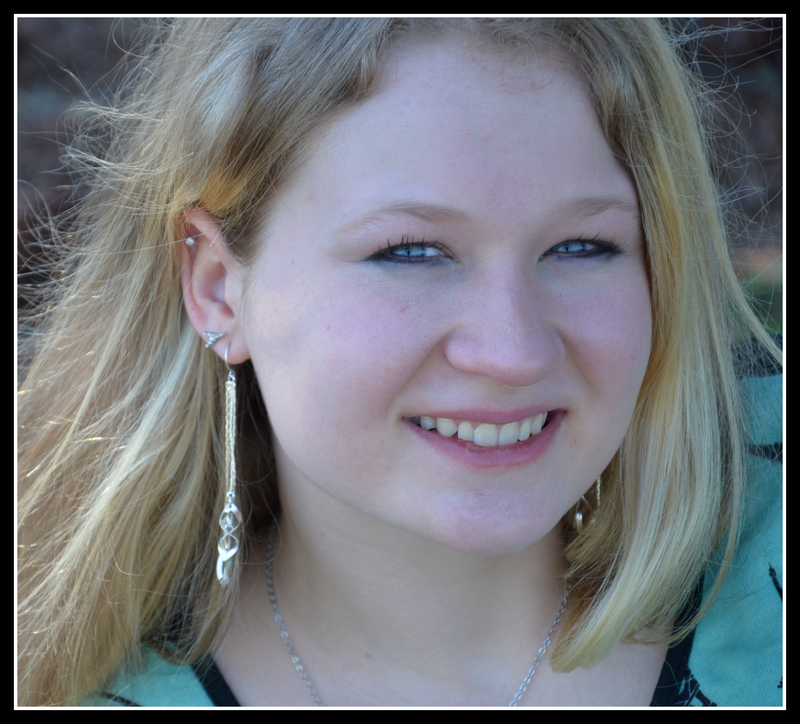 Victoria Grace Howell is an award-winning, author of speculative fiction and an editor for the non-profit organization, Geeks Under Grace, a staff writer for Geekdom House, and has been published in Splickety: Havok Magazine. Since she was a child growing up in the state of Georgia, she’s always had a heart for stories. When not typing away at her novels, she enjoys drawing her characters, blogging, Kung Fu, cosplaying, and a really good hot cup of tea.